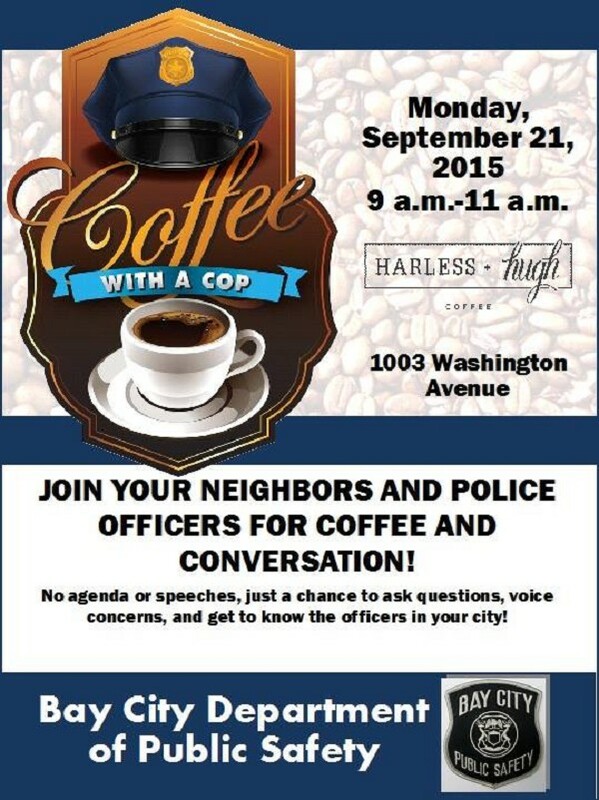 Join your neighbors and police officers for the very first Coffee with a Cop on Monday, September 21, 2015 from 9 a.m. to 11a.m. at Harless + Hugh Coffee. Harless + Hugh Coffee (Formerly Populace Coffee)is located at 1003 Washington Avenue. Coffee with a Cop is your opportunity to ask questions, voice concerns & get to know the police officers in your community. Organizers would also like to send out a huge thank you to Financial Edge Credit Union for generously offering to sponsor coffee for the event! Organizers said plans are in the works for an evening event in the future for everyone who cannot attend during the day. Coffee With A Cop is a national program set out to build relationships one cup of coffee at at time.